Whose Job Is it to Prevent Motorcycle Crashes? | Johnson & Gilbert, P. A. Unlike most states, Florida’s climate allows motorcycle riding all year long. That might be seen as an advantage, given how the popularity of motorcycle riding has increased in recent years. Unfortunately, there's a downside: availability to ride means motorcycle crashes happen with regular frequency. How frequent? Enough to make Florida the leading state in fatal motorcycle injuries. Many people believe it's the responsibility of the state government to control motorcycle crashes. “After all,” they say, “the state issues licenses.” But other people don’t like the state intervening in personal freedom more than absolutely necessary, and they believe the government is better at responding to tragic accidents than preventing them. The Governors Highway Safety Association. Federal legislation passed in 1966 created the seed of what became the Governors Highway Safety Association (GHSA) in 2002. This organization coordinates efforts by state highway safety offices; studies safety issues; and issues reports and recommendations to all U.S. state and territorial governments. The GHSA has a special interest in motorcycle safety. Florida Department of Highway Safety and Motor Vehicles. This Department issues motorcycle operators' licenses and promotes safety training by authorized sponsors. All applicants are required to pass a basic rider course before a motorcycle license or endorsement can be issued. The Florida Department of Transportation’s Highway Safety Plan. Under state law, the Florida Department of Transportation is required to compile and implement a statewide program for traffic safety. One component, the Motorcycle Safety Program, targets the reduction of fatalities and injuries of motorcycle riders. Ride Smart Florida. This state program is the communication and outreach extension of the Florida Motorcycle Safety Coalition, which works with partners around the state to reduce fatalities and serious injuries to motorcycle riders and their passengers. The Motorcycle Safety Foundation. Well-trained riders are less likely to be hurt in accidents. The Motorcycle Safety Foundation is a national, not-for-profit organization sponsored by a broad collection of motorcycle manufacturers. It provides structured training courses and education for rider proficiency in every state and military branch. The roads are more dangerous for motorcyclists and their passengers, who suffer injury rates up to 35 times greater than people in cars, trucks, and SUVs. The public tends to blame riders for motorcycle risks, but studies show that negligent drivers of passenger vehicles and trucks are more likely to cause motorcycle crashes. 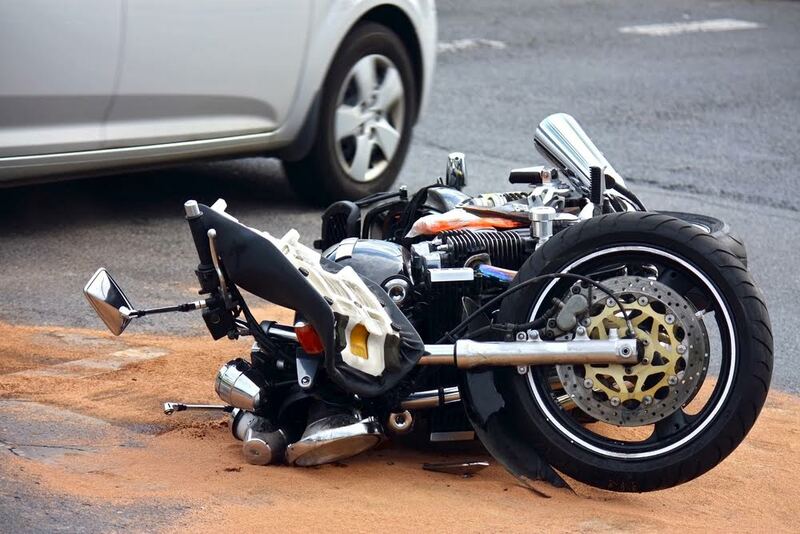 If you've been hurt—or if your loved one has died—in a motorcycle accident because another driver failed to exercise proper caution, it's important to find out about your legal rights to move forward with recovery. If there's a potential for a settlement, it may help. Contact Johnson & Gilbert, P. A., toll-free at (800) 556-8890 to set up a free, no-obligation consultation about your next steps. We want to hear your story today.